The political event we've been waiting all year for — be it in abject fear or hopeful anticipation — is finally upon us. The Republican National Convention kicks off in Cleveland, Ohio, on Monday with presumptive nominee and former reality TV star Donald Trump at the center of it all. To drum up excitement ahead of the event, Trump announced Gov. Mike Pence as his running mate via Twitter on Friday, making Pence a guaranteed speaker at the Republican National Convention. So, how can you stream Mike Pence's Republican National Convention speech? Round-the-clock coverage of the convention can be found on Fox News, CNN, MSNBC, and C-SPAN, while CBS News and ABC are expected to air hour-long specials throughout the convention. But for those looking to tune into the newly-named vice president's convention speech sans television, there are a number of ways to stream the nominating convention. Viewers can opt to stream the convention, including Pence's speech, directly from the GOP using the convention's official app, RNC2016. Available for iOS and Android, the app allows viewers to live-stream convention proceedings and speeches in real time. Multitaskers, however, may prefer to stream the convention while scrolling through their social media timeline, and this year, that's possible as the Republican National Convention takes one giant leap into today's innovative technology. Social media giant Facebook is reportedly partnering with 21 news media outlets to connect users with live broadcasts from the convention on Facebook Live through a "Facebook Lounge" set up at the Republican Party's event in Cleveland. Twitter will also be live-streaming the GOP's nominating convention across its desktop and mobile apps through a partnership with CBS News. Twitter will feature real-time tweet commentary alongside its live-stream. YouTube will also be live-streaming the convention in a move aimed at keeping users informed and engaged. The global video sharing website, which live-streamed the 2012 Republican and Democratic National Conventions, will be streaming 360-degree coverage of this year's political conventions to provide "center of the action" coverage. The file sharing website BitTorrent will launch its streaming TV news network Monday with live coverage of the Republican National Convention. Veteran reporters from Fox News and Al Jazeera will reportedly handle commentary and analysis of the nominating convention for BitTorrent, according to Fusion. 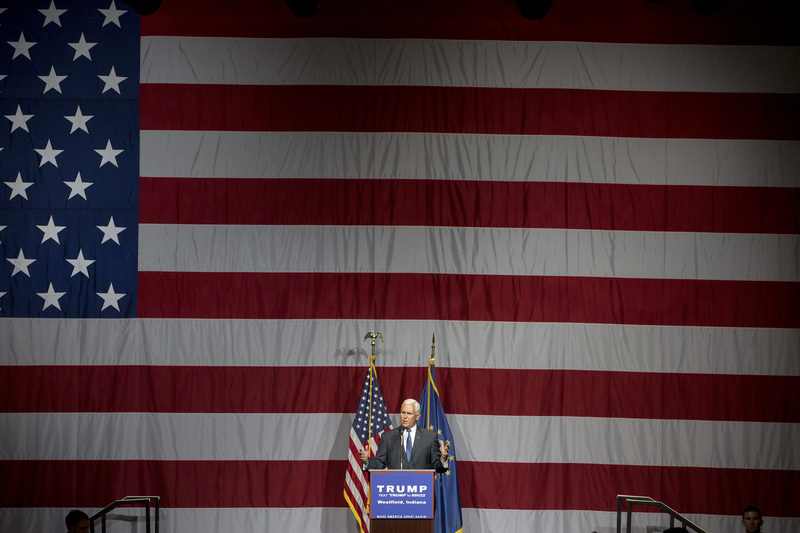 With the Republican National Convention's list of scheduled speakers lacking the political star power traditionally associated with nominating conventions, Pence's speech as Trump's vice president could be a highlight of the four-day convention in Cleveland. The GOP's convention circus begins Monday.